Prof. Nakasuka was born in Osaka in 1961. After graduating from the Department of Aeronautics and Astronautics at the University of Tokyo in 1983 and receiving a Ph.D. in Aeronautics in 1988, he joined a computer manufacturing company and became involved in research involving artificial intelligence and automated manufacturing. 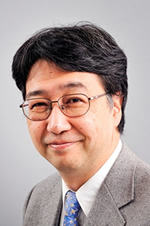 In 1990, he became a lecturer at the University of Tokyo, then subsequently an assistant professor of the Research Center for Advanced Science and Technology, University of Tokyo, and a visiting research fellow in the United States. He has been a professor at the Department of Aeronautics and Astronautics since 2004. His research fields are space engineering and intelligence for space systems.